This New Year, Abu Dhabi promises to be the destination for celebration and unmatched entertainment. Led by the Department of Culture and Tourism - Abu Dhabi, the capital will host its first-ever New Year’s Eve Countdown Village, which will take place from 28th – 31st December. The Village will include a line-up of spectacular celebrations, using the latest world-class technology and trends in fireworks to create an unforgettable end to 2017. Showcasing Abu Dhabi to the world as a leading leisure, entertainment and events destination, the Village will give visitors an unparalleled outdoor experience during Abu Dhabi’s most enjoyable climate. Spread over four days, the Village will host electrifying performances from regional and local performers, bands and DJs, while also featuring an entertaining mix of fun family activities. The Village will also be home to a dedicated flagship retail zone hosting more than 40 retailers - who will be debuting new concepts for Abu Dhabi - to create an essential urban experience. Guests will also enjoy a variety of thrilling entertainment acts as performers roam across various zones delivering interactive spectacles. Visitors will also be entertained with a magnificent firework show. And that’s not all. Families can participate in more than 15 hands-on activities such as a balloon park, glowing kites and an interactive graffiti wall! Visitors will also enjoy a delectable culinary experience rich in flavour with a dedicated F&B zone bringing together more than 50 outlets which will satisfy every palate. 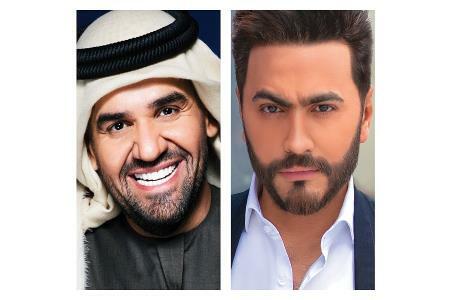 On 31st December, as the Emirate gets ready to welcome in the New Year, the main countdown stage will feature breathtaking Arabic concerts led by homegrown performers as well as an entertainment stage that will be home to three local bands and DJs. There will also be family stage where children and parents will be able to enjoy a variety of child-friendly entertainment throughout the day. The much-awaited countdown programme will feature a spectacular laser, lights and confetti shower extravaganza as well as a memorable 15-minute firework show with dazzling pyrotechnic effects. The Village will also feature a New Year wishing wall in selected areas, available for visitors to write their dreams and wishes for 2018 on special cards. Visitors can also send virtual wishes by sharing their New Year’s wish on Instagram using the hashtag #confettiwish. We look forward to welcoming you to Abu Dhabi’s first-ever New Year’s Eve Countdown Village. We hope you enjoy the show!